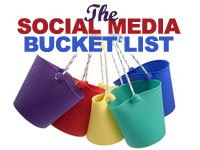 I've been playing around with a list I've compiled of over 3,500 social media applications, tools and utilities ... This has prompted me to ask whether or not there is a standardized industry list of social media categories - or a well thought out manner of categorizing the proliferating social media landscape. Thought I'd put it out for discussion. Keep it broad enough to be meaningful. Consider "features" such as profiling, rankings, purchasing, etc... as attributes of brands within each category - rather than categories themselves. Also keep topics, such as "events" or "teens" as a separate attribute of a brand within a specific category. Software/hosting providers aren't the major focus here - perhaps put these in as another category? So - here are the categories I have so far. Please weigh in! Aggregators – Any site that takes (refeeds) content from a bunch of sites and lumps it together in one site. Content may include news, profiles, blog posts, etc. These sites allow/encourage community rankings of site content, and repost content based on popularity. Wikis – Sites that offer user-driven or collaboratively created information. These can be encyclopaedic, like Wikipedia. Niche Networks - Communities of any size that offer a wide array of services, including profiles, messaging, “friending”, social utilities, media, which are focused on a narrow topic or area of interest. For example: pet lovers, artists, politicos. Blogging - Sites or utilities focused on full-scale blogging. These can include companies that host blogging platforms, utilities for bloggers, blog aggregators, etc. Real World Connections – Sites that connect users online to real-world events in their local communities. Experience Reporting – Any site with emphasis on having users report their experiences (life experiences, customer experiences) related to any event. This may include a life event, shopping event or transaction, attendance at a conference, etc. I'd appreciate your input on these categories! Is there anything you'd add or adjust? For example, where do you think Squidoo and Google Knol might fit? As follow up to last week's Whole Foods swearing entry, I posted a follow up on the Marketing Profs website. The topic addresses another angle of what transpired, called "Accidental Evangelism". Please feel free to check it out, as well as the many other insightful articles posted there. On a lighter note, my friend, Ann, has a new post on her Annarchy blog - featuring yours truly! Ann is a gifted writer. I find each one of her posts a delightful literary morsel. 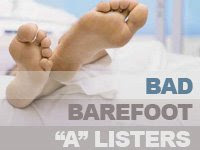 CEM A-Listers on the Web: The Shoemaker's Kids Have No Shoes! I try to keep up with other leaders in Customer Experience Management (CEM) by periodically checking out their websites, presentations, weblogs, podcasts, etc. Today, I decided to do a little refresher, specifically looking for recent research, case studies and methodologies and compare them with my own experience, knowledge and approaches. Frankly I was saddened by what I found when I perused the corporate web sites of several CEM “A-listers.” The feeling I got was scarily similar to the feeling that motivated me to write “Experience Evangelism: Get some Healing!” a few years ago. Evidently, not much has changed since then. 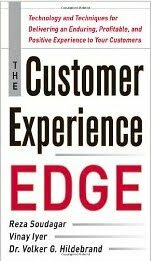 There’s something wrong when so many of the leading authors and speakers in customer experience haven’t updated their corporate site designs for years! I mean, how about a new promotional image or something? Some of these sites featured the same simple design with a little new content (zzz) , others were well, unattractive! Some others have added new content have obviously outgrown their original information architectures, yielding confusing navigation and cluttered interfaces, littered with a cacophony of content and media. In general, it seemed that these sites seemed to offer very little little new content (except exhortations to "buy the book! ", "come to our conference or workshop" or hire "x" as a speaker. In general, from a best-practices standpoint, many of these sites suffer from a gross overuse of stock photography. They also offer little online engagement and highly visible, high value, free content. It follows, therefore, that I was surprised by the lack of integration of social media on the A-lister websites… including cross-linkage from the corporate sites to leader-authored weblogs… and from the leader web logs to social media sites (Facebook, Twitter, social bookmarks, etc). In fact, to even find the weblogs for many of these leaders I had to wade through searches on Technorati. Most of them have blogs...disconnected from the corporate consulting sites... could only find the facebook and twitter addresses for one leader. It's important to note that the software companies in the CEM space seemed to do a better job on the web than the high profile leading consultants at which I looked. 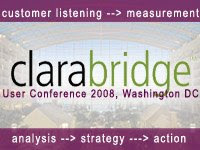 Specifically, I was pleased by some of the free content (white papers and Forrester reports) available from Tealeaf, RightNow Technologies and Clarabridge. With regards to the "A" list experts in customer experience management, their corporate sites left a bad taste in my mouth. They seem most interested in self-promotion, as evidenced by demonstrated focus in keeping personal information (books, bio) up to date, rather than focusing on creating more meaty, high value content for clients and prospects. We tend to invest our time where our hearts are… right? To me, this is not “customer centric”, innovative, immersive, creative or positively experiential - and would seem to fight the very principles these individuals stand for! This is surprising, coming from the same people that are advocating customer-co-creation and innovation... the same people who extol the benefits of being engaged with customers, listening to customers, providing value, building a "customer centric" organization, providing "seamless" experience... etc. If you ask me, it seems the CEM shoemaker’s kids don't have -- or aren't wearing -- any shoes! Now, to be fair -- my grandma always says that when you point one finger at someone else, there are more fingers pointing back at you. As such,even though my site is updated...and I'm active on on Twitter, Facebook and Plurk, I must reluctantly add myself to the wall of shame: I will admit that I haven’t managed to update my website’s resources page for a pathetically long time…nor have I incorporated my twitter feed or a few much needed links on my blog page. I won’t insult you with (even a very GOOD) excuse for this. I won’t remind you how hard it is to keep your own site up to date while managing your own client work. Please forgive me for my hypocrisy… I am resolved to correct these things very soon. The thing is, I’m an independent consultant with great partnerships and a wonderful, even impressive client list … but I am an independent. In contrast, many of these experience leaders have teams of people working for them. They manage large engagements with blue chip clients and have heavy, international exposure. As such, I simply can’t understand the lack of investment in what may perhaps be their most high profile and influential channel. I guess I'm surprised because I expected more! There’s definitely room for improvement on the web for CEM practitioners - an a lesson in it for us all. You tell me: Is it worth hiring CEM consultants if they don’t practice what they preach? Do you judge a company based on the engagement factor of their web presence? Are site experiences that are informative, interesting, attractive, and up to date important to you in your choice of a consultant? Can a CEM consultancy be credible if you can’t tell if its consultants are well versed in emerging technologies? …or am I over reacting? I got a tweet from Steve Rubel about Seamless Web giving away $100 worth of free food to bloggers who mention the company in a blog post. My first reaction was “Hmmm…good word-of-mouth marketing attempt, but is there really something worth writing about?” I decided to find out, and was very pleased with the results. Seamless Web is doing some very smart things related to its business plan as well as its use of social media and word-of-mouth marketing. There's definitely some takeout (pun intentional) here for any smart marketer. First things first. If you're not already aware, Seamless Web bills itself as the "fastest, easiest, and smartest way to order food online." The company enables users to order from more than 2,000 restaurants in 14 major US cities (including New York, Boston, Chicago, Washington DC, Houston, Los Angeles, San Francisco) and other cities in the UK. 1. Enter your address – Using a simple form. 2. Browse & select a restaurant – Based on your zip code, a list of restaurants will display. The list is programmed to allow users to order only from restaurants that are currently open. 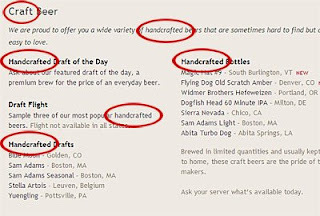 Users can mouse over restaurant names for a brief restaurant descriptions. They can also sort the restaurant list by price (up to five $), estimated delivery time, order minimum and customer rating (up to five stars). 4. Pay with a major credit card. Delivery fees range, based on the delivery service (in-house, third party). For some restaurants, delivery is free. For others, such as ones delivered by Takeout Taxi, delivery fees are $8.95. Tips may also be added to the order. Participating restaurants utilize the Seamless Web infrastructure to print incoming orders, which arrive within seconds. In turn, the restaurants send customized order confirmations via email, complete with estimated delivery times to site users. Participating restaurants then prepare the food and deliver it to the site user. After ordering, users can save their order for “next time” and also post ratings of participating restaurants for the reference of other site users. Business Focus. Seamless Web is operating within a core competency. Following my (link) “Three Word Rule", we’ll call the company a “food delivery facilitator”. They don’t mess with food preparation or actual food delivery. Instead, they provide a one-stop ordering destination for customers, along with a robust communications infrastructure extensible to restaurants and delivery services (like Takeout Taxi) which effectively facilitate the delivery process. Smart! Customer Focus. Starting at a basic level, they make the food ordering process easier for the time starved. It’s more consistent than ad-hoc dialing and more customer-centric as a result. All site users get clear information. They can customize orders to accommodate for food allergies or personal taste. They can order a meal for immediate delivery or schedule delivery in advance. They can save their favorite orders to streamline future ordering. They are encouraged to rank the performance of participating restaurants performance for the benefit of the ordering community. The site caters to the needs of both individuals and corporations. Seamless Web also offers corporate accounts with catering services and discounts. The service Seamless offers is basic – but it’s basic done well! The User Experience. 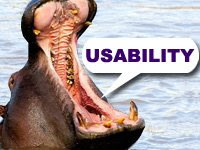 From a high-level usability perspective, Seamless sites are easy to access and they perform well. The main ordering site’s feature-rich interface is simple, streamlined, and not heavily graphics-infused. It successfully displays a lot of complex data in a very clear manner without many hitches. The language is simple and uncomplicated. FAQs provide detailed information on just about every topic you can imagine – clearly and concisely. The navigation functions well. While I’d like to see the 2.0 ability to order directly from a menu listing (rather than clicking on the item), Seamless Web has done a great job taking the ordering process and making it very simple and consistent across a myriad of restaurants and service providers. The blog follows the simple approach and is very up-to-date, engaging and entertaining, as well. The Facebook site is your is a standard cacophony of images, features and links… but overall, the online experience works - very well. Social and Word-of-Mouth Marketing. Probe into Seamless Web and you won’t just find a site for ordering food. You’ll find solid grassroots marketing, word-of-mouth initiatives and solid use of Social Media. Check out the Seamless Weblog. There you’ll see their streetwise marketing at work, hear updates from the team, find weekly announcements about new restaurant openings and capture the occasional unwitting celebrity endorsement. You’ll also find Seamless Web active on Twitter. There’s also a Facebook site for Seamless Web, where you’ll find several thousand Friends, a viral video serial called “Johnny and Cam Order Food” (one part obnoxious, one part informative), featured restaurants, maps, featured fans, user reviews, contests (more free schwag) and more. They're keeping these sites fun, interesting and up-to-date. Good stuff. 1. The encourage customer dialog on a number of levels, across channels.This is a recipe for success. 2. They reward customer evangelism. Tell your friends about Seamless Web, and they’ll send you a 25% off coupon the first time your friend orders (they even provide a contact widget to help). Become a fan on Facebook and enter to win an iPhone 3G. Write a blog post and get coupons for $100 in free food - in addition to cross links and recognition on their own blog. All great ways to encourage word-of-mouth. If I were to offer any criticism, it would center on the brand name and design. It seems Seamless Web would be more suited as a name for a web development firm -- rather than a destination for ordering takeout. From a branding perspective, I’m just not sure why the company went with this name. It seems like a missed opportunity to me. Perhaps there was an executive desire to be a bit vague (ala "Amazon" - allowing for future business expansion into a non-food market) or some another reason, which defies my own pea-brain logic? From a design perspective, I don’t mind the color red, if it’s done well – but I’m not a real fan of the logo, or the tag line that fails to “pop” on the page. So, there’s definitely room for improvement here -- but in truth, this can be easily remedied for the company. In conclusion, while Seamless Web is offering people free schwag for posts … I am not posting for the free food. In my line of work, I am paid to be somewhat critical. It's easy to find reasons to be critical with regard to customer experience and sometimes it's easier to be more negative than positive. That’s why it is positively refreshing to find smart companies that offer solid and well-rounded customer experiences. Therefore, it's my pleasure to offer hearty approbation and best wishes to the folks at Seamless Web. It is my sincere hope that we all take away something tasty from the company’s example. Interesting drama unfolded yesterday on Plurk. I won't attach a link because I'd rather not get anyone in trouble. Nevetheless, what happened does this illustrate the power of social media and community and surface some issues related to privacy and social media. A fellow Plurker (we'll call her "Freaking Out") was, evidently being bothered by another individual (evidently another Plurker) we'll call "Creepy Harasser" for a period of one month. 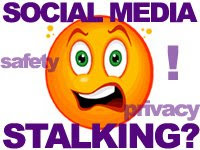 Evidently, Creepy Harasser had obtained the individual's home phone number using basic details found in Freaking Out's Plurk profile, and had used a cell phone to call this person every few days for over a month. A "friend" of Freaking Out (we'll call him "Helpful") posted a well-intentioned Plurk alerting others about the harassment. Helpful asked for practical suggestions on what the Freaking Out could do to stop Creepy Harasser. Helpful also publicly listed the offender's cell phone number for all to see. Evidently, Creepy was not so smart related to caller ID. Fellow Plurkers were angered and apalled, and the Plurk incited a flurry of comments … from encouragement to “call the Po Po" to suggestions on how fellow Plurkers could impose some justice on Creepy Harasser. Things began to escalate. It was not long before this story motivated one fellow Plurker, we'll call him "Justice" to call Creepy Harasser, himself. As he did, Justice narrated his actions in the Plurkstream. He repeatedly prank called the guy... making obscene comments until Creepy stopped answering the phone. After this, Justice began filling up Creepy's voicemail with terribly bad You Tube video music. (I found this all a bit over the top, but I must admit I laughed pretty hard about it). Other Plurkers cheered from the sidelines, and quickly other Plurkers either joined in or promised to join in on pranking Creepy - even those from outside the U.S! The Plurkstream was full of punitive suggestions, such as signing Creepy up for spam text, ring tones, etc. Now, I'm not advocating harassment of any kind... and I did not join in. I don't know if the factual details behind the harassment are accurate. I know the person who posted the information was merely looking for recommendations to help his friend. I don't know the person that was harassed... or the harasser. That being said - the sense of camaraderie combined with the sheer outrage and backlash from the fine people of Plurkopolis was impressive! I'd go so far as to assert that this type of backlash might take care of a creep even more quickly than taking action with his cell phone company or calling the police would (especially if the offender was out of state)! The message was clear: Don't mess with Plurkistan! Even so, while part of me took comfort in the “protective behavior” of the crowd… I couldn’t help but wonder what would happen if the same angry mob had its facts wrong, or were mislead in some way. I thought about how easily it would be for many well-intentioned, and well networked people to be led astray. We know from history this happens. How easily could one person trigger the harassment of an innocent person or people? 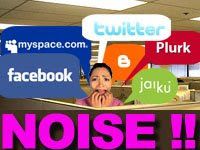 Take it to another level and how could the rumor mill impact companies, brands, stock market behavior.... as news travels faster and faster through social media. Taking it down a notch...I had to ask myself well I know all the people we “friend” or “follow” online? And with the answer to that I had to ask my often over-sharing self, how much about myself should I really share in this new world where "friend" is a verb - but not necessarily a state of being. The reality of that makes me bit more sober about my own participation in social media. In the long run, I’m sure we’re not done hearing stories like this one. Just some food for thought! My husband decided to take a road trip with our 17 year old this summer. With gas at a national average of $4.10 a gallon, our SUV with a V8 engine would prove to be far from economical to drive. Our pickup truck would be equally fuel efficient and even less comfortable. Our ’67 Camaro Pro Street Racecar with 750 horsepower wasn’t a practical option (although they would have gotten there fast!). Finally, our daughter’s car, while very fuel efficient, was probably not reliable enough for a hot, 14 hour journey. So! We decided to rent a car with better fuel economy. Based on our calculations, even with the cost of the rental we’d save $150 in gas - a respectable amount. Since my hubby loves a road trip…he reserved a mid-sized sedan with 35-40 MPG and cruise control from Enterprise Rental Car several weeks in advance. When my husband went to pick it up Thursday morning, the smiling attendant apologetically told him they were out of the car he'd reserved and handed him the keys to another car in the same “rental class.” Evidently, this was one tiny car… complete with 13 inch tires, no CD player and no cruise control. While it was fuel efficient, my husband stands over six feet and more than 250 lbs… so he was not happy with the tiny, gutless, box on wheels...especially for a 14 hour journey. He handed them back the keys and asked them what they could do for him. The Enterprise people were very kind, offering him a complimentary “upgrade”… to a lovely SUV. He explained that he already owned an SUV -- and had rented the sedan for the fuel economy. The representatives were perplexed. Evidently no one had turned down an “upgrade” before. After looking around a bit, they found a suitable sedan at another location – only without cruise control - and offered to drive him out to pick it up. This isn't just about rental cars... it's about everything. Fuel prices and food shortages are going to impact the price of everything else… and as this hits our wallets, we’re going to see more changes in every day consumer spending.... and in our perceptions of "value." Just last night, we went to get ice cream and saw an apologetic, hand-written note about price increases on the drive-through sign. This is happening everywhere -- in nickels, dimes, and dollars -- but it all adds up. While it may take longer to hit the thicker wallet, signs say it will impact most of us at some point. 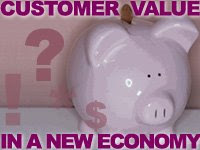 As a result of these economic changes, the everyday consumer’s perceptions of value are likely to shift and change. What we have justified as "need" at yesterday's price, just may become a luxury tomorrow. An $6 per day Starbucks habit may dissolve against costs like $500 per month for gas, $400 per month for heating and $4 per pound for chicken breast. Unfortunately, as far as Starbucks goes, developing an active customer listening website or an extensive program to retrain baristas my not help the company with this reality, as evidenced by the recent closure of 600 stores. And Starbucks, which I love, is just an example of one company getting hit by a changing economy. How we’re going to prioritize and optimize our activities around the customer…doing fewer things more efficiently and responsibly, rather than doing more. How we’re going to keep our biggest asset (good staff) employed, adequately rewarded and motivated during tougher times. Some assert this economic rough patch will last 18 months, and others assert our current state is merely a symptom of a coming global economic collapse. I'm no economist, so I'll save my opinion for family dinner debates. Whatever the scenario, this is not a “future” thing – it’s here, now. Beyond thinking greener and contemplating the myriad of ways we can incorporate social media tools into our marketing plans, I think it's wise to start thinking leaner, smarter and with more vision around how to proactively plan for and manage the next-generation customer experience. It’s also time to ask tough, but practical questions, such as whether or not our current value propositions can weather this economic storm.... Many of us may need to adjust sails! Please let me know your thoughts here or on the Marketing Profs daily fix. In this case, Alaska Airlines assembled a team of its own people. They read books, interviewed and visited theme parks (like Disney), hospitals and retailers to find innovative solutions to expediting check-in. They created models for the redsign using cardboard boxes (cool) ... and then they built test podiums and refined the designs in real airports. The article will tell you more. In summary, the outcome has been improved customer service, streamlined check ins for customers and a significant cost savings. Amazon Down - Twitter Up!?? 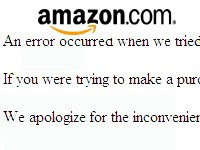 I had a surreal moment today when I discovered that Amazon.com - the most reliable eCommerce site around is down. Meanwhile, while Twitter - the most unrealiable microblogging website around - was up! For awhile at least. Twitter went down shortly thereafter. Probably due to so many people tweeting about Amazon. What's it gonna cost the seller of all things? Well, according to my Ad Age alert...the downtime is worht $1.8 Million dollars per hour. I left corporate America for the blissful freedom of self-employment several years ago. Prior to this point, I had spent years working with startup companies, living in cubicles and hijacked conference room spaces... I was at the point in my career where an office with a door was almost a guarantee. But then, I went into consulting. As a traveling "Big 5" consulant, I traded my office dream for the hope of first class upgrades (more laptop space to work within), shared offices and desk spaces, borrowed client cubicles and - of course - hijacked conference room space. It was a noisy and distracting existence. Today, I've got my spacious office, with a door. I can have a happy dog at my feet (if I want) - even a baby and some toys (if I want). Yay! Well, I was celebrating, until I expanded my involvement in social networks, joining Facebook, Twitter and Plurk among others. Now, I seem to be back in a noisy cubicle again. I'm being plurked and tweeted, IM'd, DM'd and friended by people I don't know, filtering out conversations I don't have time for, people are writing on my wall and sending me links to things I must read. The funny thing is, I don't even have that many friends or followers. I used to want more. But after my recent mprofs article, in which I invited people to follow me on Plurk and Twitter -- perhaps I should reconsider. There's joy in being a neatly kept secret...in managing one's conversation streams. For now, I find myself again working in a noisy and distracting existence. Part fun - part frustration - part vortex. It's easy to feel like there's no door - but truth be told, there is. It's called "EXIT"... but my desire to do that with each application is proportionate to my fear that I'll be missing out of the discussion, in some way (good and bad). Maybe I'll get over that soon and disconnect a bit. Gag me with an app! It seems each day I’m presented with yet another "killer app" I need to go evaluate and monitor. These seem to have a few things in common. First, most seem to have these cutesy 3-7 letter names like "Blyk" and "Fark". Second, none of the names really reflect what the apps do. Next, most of the home pages for these services use fluffy language to describe the value they offer - or how they may be distinct from other similar services within their niche. Finally, many of them are similar in functionality and purpose. Sunday's discovery (yes Mack - it was on Twitter) was "PLURK". I hadn't heard of Plurk before. Maybe I spend too much of my spare time changing diapers or something. Evidently, it's Toronto's answer to Friendfeed or Twitter. I'm not enthusiastic about the name... it reminds me of "PERVERT" plus "LURK" - not positive really. I guess at the least it is memorable. All this to say: Call me crazy but I'm seriously getting to the point of total app saturation; so much so that I've developed a syndrome I call "APP reflex." It involves a facial tic, shoulder spasm and a gagging sinus noise. This came on gradually but was fully in force after one day of casual research. It is doing wonders for my marriage (attractive!!!). Like the rest of you, I do have a day job. Fortunately, this is relevant to my day job, so I can justify writing this post. It's enough to say that it IS very hard to keep up on the exponential growth of the social applications, sites and utilities out there. It takes time to evaluate and use each one -- and some tinkering to figure out which tools are things that will become valuable for the future, and which things are fly-by-night, wannabe technologies. If by chance I happen to find something valuable, I've got to take the time to use it - and have it top-of-mind, and keep up on it - figure out how it's going to be valuable to my clients. That's not always easy. Truth be told -- the activity can be a colossal waste of time if one is not selective. While now I could be considered a "twitterpated" evangelist, the whole investment thing was part of the reason I was a latecomer to Twitter. Who knows how many other helpful utilities like this will come along for folks like me -- like us -- who are time starved and look for a way to cut through the noise and figure things out! So I'm encouraged... and as the apps multiply like rabbits in heat...I will press on - bold and brave. 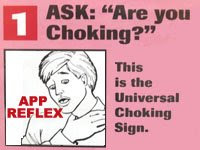 I heard rumors about drug trial for people dealing with APP REFLEX and I'm thinking of signing up. Feel free to join me. But seriously, if you know of more social apps, send them to me with a brief link or description. I'll do my best to publish this list with categories and descriptions in the near future for the benefit of all.